Our change-makers are Christian social entrepreneurs who are launching ventures that address our world’s greatest problems. Anthony Sandusky is a preacher, visionary leader, and social justice advocate. 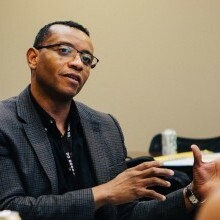 He works as an adjunct professor, social entrepreneur, Courage & Renewal facilitator, and organizational consultant. Anthony founded the Village Life Foundation, a non-profit organization whose mission is to inspire hope, renew courage, and cultivate wholeness among populations facing moments of crises across America’s villages. The Village Life Reentry Program works with communities devastated by violence, mass incarceration, and poverty. Baiyina Abdas-Salaam resides in Phoenix, Arizona and works to provide psychological education and concrete resources to families through the Family Preservation model of the Department of Child Safety. Founder of Bourgeois Baby and mother, Baiyina is passionate about creating affordable baby products that are beautiful, environmentally safe, and quality-made. Baiyina is also exploring the use of technology to make baby products smarter. After moving to Oakland, CA to work in tech, Chasma Smith realized being in male-dominated spaces highlighted some repercussions of female discouragement—lower pay and under-representation particularly in leadership, and imposter syndrome. Chasma was inspired to develop She Tried It, which helps womxn find courage by providing curated experiences that disrupt social norms and challenge gender stereotypes. She Tried It aims to create widespread women empowerment that promotes authenticity, equality, and self-love. Julius Jessup Peterson is a Afro-futurist, abolitionist, psychotherapist, innovator, and ordained clergy in the United Church of Christ. 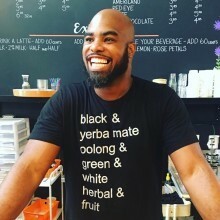 Julius has over 10 years of experience as a mental health provider and is the owner of Roots, Seeds, and Branches (RSB). Located in Decatur, GA, RSB is a mental health and social justice practice that offers evidence-based and culturally sensitive psychotherapy for survivors of trauma without re-packaging outdated theories that reinforce the violence in their lives. The impact toxic institutional power has on marginalized communities motivates Julius to develop a virtual reality simulation (VRS) that addresses racial violence and trauma. This VRS has a unique focus on potential perpetrators whose perception of threat could create actions that inflict harm on people of color. Margaret Conley is the founder of MLC Consulting and Mending Life Concepts Empowerment Group. With a focus on emotional wellness, Margaret seeks to provide faith communities with better access to spiritual and clinically trained professionals in times of distress. Dr. Ryan Powell, M.D., a native of Detroit, is known for his driven personality, love for people, and authentic passion for health and wellness reform and revitalization. He has over 14 years of experience in disease prevention, health/wellness, fitness, weight loss/management, and digital health innovation. Nearly 1 in 3 children in the U.S. are overweight or obese. This heartbreaking statistic fuels Ryan’s passion to improve youth engagement around health and fitness through his mobile app and augmented reality playing cards—GoHealth Kidz Fitness Deck. The Reverend Tabitha Ssonko is pastor of the Monumental AME Church located in Steelton, PA. Inspired by her experiences in Uganda and Rwanda, Tabitha is passionate about creating experiences for women of the African diaspora to educate, engage, and support one another in developing financial independence. 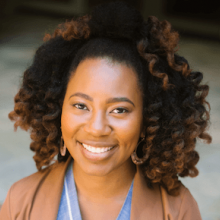 She is the founder of Cross-Continental Connections, a curated web platform that brings together women in the African Diaspora to create communities of social entrepreneurs through the mutual exchange of capital and ideas. Dr. Velma Love is a story practitioner who consults on the art of cultural development and community engagement. She uses stories to inspire and guide social change. Velma has over 30 years of experience in community cultural work, participatory action research, and non-profit management. 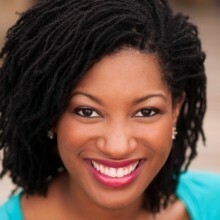 A narrative coach, she is the owner of Story Catalysts Coaching & Consulting, LLC and Story Swap Supper Club. 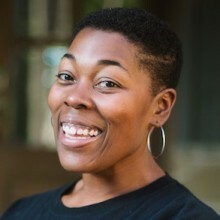 She currently resides in York, SC, where she produces the Kaleidoscope Community Storytelling Series, a monthly gathering at a local restaurant, designed to build radical empathy and address the problem of social division and disconnect. 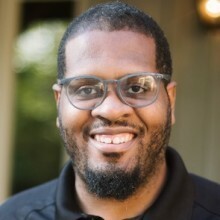 Armel Martin is a sustainability and renewable energy consultant and helped to develop New City Backyard Farms, which operates out of New City Church (Minneapolis, MN). Backyard Farms uses the power of backyard farming to build healthy livelihoods and nourish the neighborhood. In addition, this effort raises and connects a cooperative network of farmer neighbors in the Phillips, Powderhorn, and Central community. Callid Keefe-Perry is a traveling minister within the Religious Society of Friends (Quakers) and lives in community in Arlington, MA. He is an organizational consultant, retreat leader, and teacher of discernment deeply influenced by both Quakerism and Ignatian spirituality. He currently serves as the executive director of ARC. ARC is a collaborative community for those who cultivate embodied and just ways of knowing and being through creative and spiritual practices. This organization envisions a just world where creativity and spirituality work together to promote the flourishing of all creation. Rev. Dwight Ford is a church planter and the pastor of Grace City Church in Rock Island, IL. He partnered with his wife, Dr. 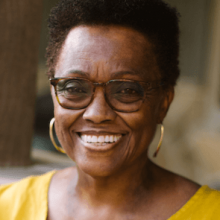 Kit Evans-Ford, to establish Argrow’s House of Healing and Hope, which is a safe space where free services are offered daily for women healing from violence and abuse in the greater Quad Cities area. In addition, Argrow’s House is also a social enterprise where women healing from violence and abuse create beautiful bath products that provide a living wage for themselves in a safe space that celebrates who they are. Elizabeth Biedrzycki grew up in San Antonio, Texas. 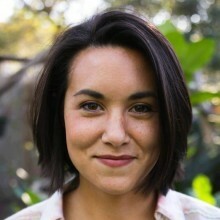 She is Hawaiian and was raised to value, appreciate, and live out the culture of both her family and her city. San Antonio’s primarily Hispanic population, Mexican food, spirit of fiesta, and cultural emphasis on “familia” all resonate with her. She has a passion for community, the local church, and exploring creative ways to sustain work in ministry. She created the Valley Learning Lab in San Antonio, a 5-day program that challenges people to re-think community, enterprise, and faith. Her belief is that through healthy conversations and healthy relationships, societal change will take place and the world can be changed. For over 12 years, Greg Kauper has been working in the field of landscape architecture and designing outdoor environments in cities across the globe. His passion projects are Creative Weekends and the Let Us Make publication. Creative Weekends create space in a busy world that typically stifles people and their ability to pursue the creativity that makes them come alive. These weekends build community, provide practices that unlock people’s untapped creativity, showcase artistic creations, and celebrate what is being created in the community. Hazel Cherry is a free-spirited creative writer, theatre actress, minister, and advocate. She desires to create opportunities for women and girls of color to produce, write, and direct their own films and media productions. Her interest lies at the intersection of womanist theology, film and media, and popular culture. She is committed to manifesting a world where women, particularly Black Women are free. It is her hope to use Sisters’ Speak, a non-profit media production to tell the stories of women and girls of color—for them and by them. 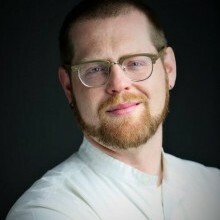 Joseph Kitchen is a native Californian living in the Washington, DC area. 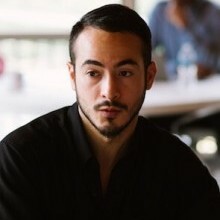 As a kid growing up in Fresno, California, Joseph was passionate about community organizing but lacked connections and knowledge needed to make many of his ideas thrive. Now having served in a number of senior leadership roles throughout the country, Joseph wants to connect the kids from his childhood neighborhood with the tools they need to transform their own communities. 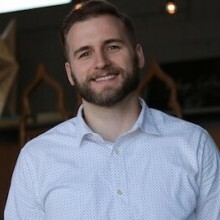 He is the founder of The Joseph Kitchen Project, which identifies young people in areas of Fresno struggling the most, provides them with a week-long training on social innovation and community development, and trains them to launch local initiatives addressing neighborhood challenges. Dr. Kit Evans-Ford is passionate about nonviolence, God, and serving others. She is a professor, spiritual director, and founder of Argrow’s House of Healing and Hope. Argrow’s House is a safe space where free services are offered daily for women healing from violence and abuse in the greater Quad Cities area. In addition, Argrow’s House is also a social enterprise where women healing from violence and abuse create bath products that provide a living wage for themselves in a safe space that celebrates who they are. Lakisha Lockhart is a playful womanist educator and practical theologian who lives in Richmond, VA. She is the assistant professor of practical theology & director of STREAM Youth Theology Institute at The Samuel DeWitt Proctor School of Theology at Virginia Union University and currently serves as president of ARC. ARC is a collaborative community for those who cultivate embodied and just ways of knowing and being through creative and spiritual practices. The organization envisions a just world where creativity and spirituality work together to promote the flourishing of all creation. Minister Lyvonne “Proverbs” Picou, a New York City native, is a preacher, speaker, poet, educator, and social entrepreneur. She is the founder of beautiful scars, a boutique storytelling agency focused on trauma, healing, and resiliency. The online platform, beautiful scars, is for Black Christian women who are also survivors of childhood sexual abuse and/or male sexual violence. The platform is a tool for spiritual Black women to integrate their sexual violation into their healing journeys through the lens of their faith. By harnessing the power of narrative, Lyvonne is aiding survivors and communities to shift from silence to storytelling in order to eradicate gender-based violence. Rev. 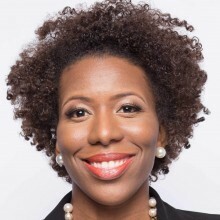 Dr. Neichelle Guidry is the creator and lead curator of shepreaches, a virtual community and professional development organization that aspires to uplift African-American millennial women in ministry through theological reflection, fellowship, and liturgical curation. 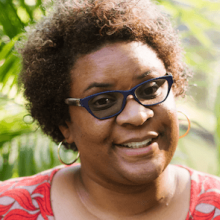 Shepreaches exists to demolish racism, patriarchy, and ageism in the (Black) church and is guided by theological reflection, liturgical curation, and fellowship/mentorship. 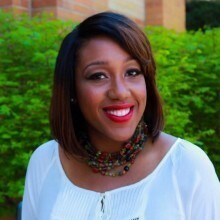 Nikki Hoskins is a PhD student in Christian Social Ethics at Drew University. 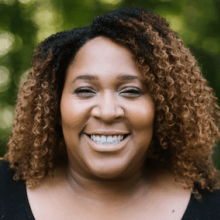 She is founder of Thres(hold), a project focused on providing environmentally conscious and affordable tiny homes that help African American build equity. She believes her purpose is to help communities be responsible for God’s vision on earth. 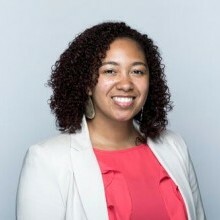 Her work focuses on African American families who historically have been (and continue to be) subjected to unjust housing practices such as residential segregation, blockbusting, redlining, and restrictive covenants. Shonda Nicole Gladden, founder of Good to the SOUL, is committed to living life doing good in the “spirit of universal living” (SOUL). A Washington, DC native, Shonda and her post-millennial daughter, currently reside in the Midwest. As a mother, philosophical theologian and scholar-practitioner, addressing impediments to human flourishing is her passion. Through the primary work of cultivating spaces where human flourishing is central and individuals are invited to attend to the healing and well-being of their souls, Good to the SOUL seeks to become an interdisciplinary, consulting, and emerging media enterprise, producing theologically informed and creative resources, influencing change. Rev. 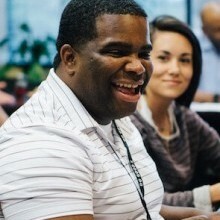 Tyler Sit is the church planter of New City Church, which focuses on environmental justice. He is the co-founder of New City Backyard Farms, which operates out of the church and uses the power of backyard farming to build healthy livelihoods and nourish the neighborhood. Backyard Farms raises and connects a cooperative network of farmer neighbors in the Phillips, Powderhorn, and Central community. By growing in backyards, he believes that we can not only feed each other, but also create economic prosperity to build a healthy, diverse, and welcoming neighborhood for all. 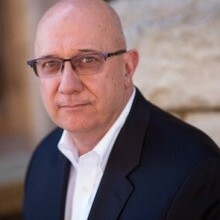 Dr. J. Howard “Jim” Kucher is a thought leader in social entrepreneurship and the faculty program manager of the Graduate Research Innovation District at the University of Maryland, Baltimore (UMB), where he also serves as a senior lecturer in social innovation. Prior to joining UMB, Jim was an assistant professor in the Brown School of Business and Leadership at Stevenson University, where he taught courses in social and commercial entrepreneurship, marketing, management, sales, project management, and product development. 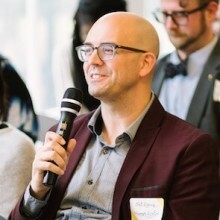 Previously, Jim was the founding executive director of Entrepreneurship Programs at the University of Baltimore, where he led the Baltimore Social Enterprise Collaborative – a program that was nationally recognized for its innovative curriculum and helped over 60 area nonprofits develop new models for meeting the needs of their constituents while increasing the sustainability of their organizations. In addition to his teaching duties, Jim is a consultant to leading and emerging social benefit initiatives to help them improve outcomes and increase sustainable revenues. He has successfully secured over $70M in working capital on behalf of mission-oriented enterprises and assisted over 100 area nonprofits and social enterprises in developing new models for meeting the needs of their constituents while increasing the sustainability of their organizations. 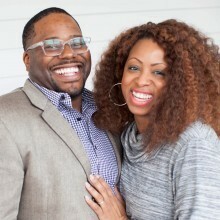 Jermail Shelton and his wife Brandi are the proud owners of Just add honey tea co, which was established in 2006. Just add honey’s retail shop is located inside The Sweet Auburn Curb Market. They most recently opened their second retail location on the Atlanta Beltline in January 2019. During his downtime, Jermail enjoys spending time with his family, taking hikes, and reading. 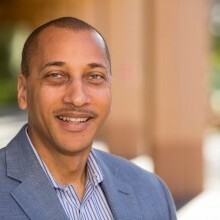 Kevin L. Nichols is the founder of The Social Engineering Project, Inc., an Oakland based Google and Microsoft funded social impact venture with Stanford University designed to address the lack of diversity in the tech industry. He has worked in multifaceted capacities at law firms across the country, including Morrison & Foerster, Paul Hastings, and Hollan﻿d & Knight. 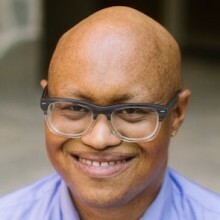 His interest in diversity and technology began while he was a mechanical engineering/diversity intern at the Lawrence Livermore National Laboratory. Kevin has become a social networking expert and full-time consultant specializing in litigation technology (eDiscovery), diversity, and social media marketing for the legal industry. He has been featured on LinkedIn’s Hall of Fame, Yahoo’s Blog, in the Examiner, CNN Money, Reuters, MarketWatch, and the Wall Street Journal. Khalil and Nicole Thompson have been happily married for nearly 10 years and are the parents of two beautiful and precocious little girls, Selah (seven-years-old) and Syrai (two-years-old). 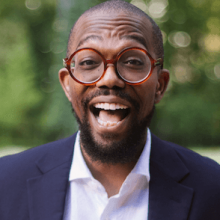 Khalil is a creative visionary who has a passion for helping others unearth imaginative ways to express themselves and to solve problems in the world around them. He graduated from Xavier University of Louisiana and has built a successful career as a marketing professional. His wife, Nicole, is a self-proclaimed seeker of joy and peace who has lived her life committed to advocacy and civil justice. She is a graduate of Duke University and Duke University School of Law and pursued a career as an attorney and a professor. However, in 2018, Khalil and Nicole answered a different path when they were inspired by their daughter Selah to start the Empowered Readers Literacy Project, a non-profit organization with a vision to turn the tide of the illiteracy epidemic in the city of Atlanta and eventually nationwide. Through their mission, Empowered Readers aims to help families build strong reading rituals and get kids excited about books. Empowered Readers officially launched with their Inaugural March to 20Hundred Thousand Books: A Children’s March for Literacy on January 19, 2019. Through the Children’s March, Empowered Readers united Atlanta communities and children to join together to shed light on the epidemic of illiteracy and its proximal side effects on society, all while empowering children to reclaim their narratives, tell their own stories, and get excited about reading. 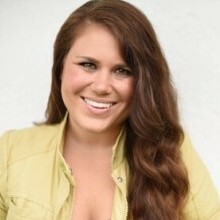 Kimberly Butler is the founder of The Whiteboard Room and is a business coach to creative professionals rising to the top of their industries. Kim makes it her daily mission to propel entrepreneurs and brands into their full potential for greatness. Located in Atlanta and working virtually with clients all over the world, Kim walks alongside companies and business owners to help them uncover their calling, develop purpose in daily life, and hurdle past fears and barriers to live fully alive. She accomplishes this through one-on-one coaching, workshops, and speaking engagements. At the core, her faith is foundational in all she does—she desires to stand in the corner of fellow Christians to help them use their gifts and platforms to do good. Linda Kay Klein is the author of PURE: Inside the Evangelical Movement that Shamed a Generation of Young Women and How I Broke Free, and the founder of Break Free Together, an organization that helps people to release shame and claim their whole selves. She was previously the founding director of the Work on Purpose program at Echoing Green in New York, New York. Echoing Green is a global social entrepreneurship nonprofit that unleashes next generation talent to solve the world’s biggest problems. 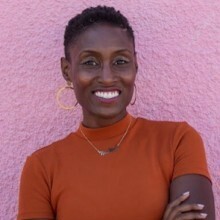 With an extensive background in social entrepreneurship, social innovation and storytelling for social good, Linda’s work has been featured by NPR’s Fresh Air with Terry Gross, Vice, Elle, Good Housekeeping, the Chicago Tribune, the New York Post, Fox News online, and other major media outlets. A regular speaker and teacher, she has been highlighted as a speaker on the TEDx stage and at major gatherings such as the 92Y’s SHE Summit and the Apollo’s Women of the World Festival. 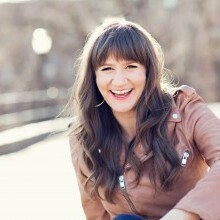 Linda was awarded the NYU Reynolds Fellowship in Social Entrepreneurship for her work on religiously rooted sexual shame and judged the Forbes 30 Under 30 faith-based initiative, and the Echoing Green, AshokaU and NYU Reynolds Social Entrepreneurship Fellowship competitions. 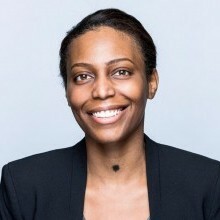 She has experience on the advisory boards of the New York University’s Global Center for Academic and Spiritual Life and Our Inner Lives, the board of trustees at the Forum for Theological Exploration, and is a founding board member of the Ashlar Center for Narrative Arts and JumpStart Academy. In addition, she has served as the director of communications and the program officer for The Sister Fund, a foundation supporting gender equality in the world’s major religious traditions. 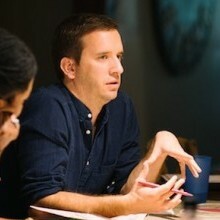 Luke Keller grew up in the Atlanta area and attended Samford University in Birmingham, Alabama. After school, he worked in business development for Lauren Engineering and Construction, based in Texas. Later he founded The Lantern Project (now Tekton Career Training) training refugees in construction skills such as welding, pipe fitting, masonry, carpentry, and electrical. Over 200 men and women have graduated the program since inception. 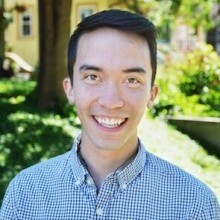 For the past two years, Luke has been a partner and president of Amplio Recruiting. Amplio Recruiting helps great companies get connected to the reliable refugee workforce. In 2018, they helped over 300 men and women obtain full-time jobs in Atlanta, Raleigh, Houston, and Dallas. Matt Elsberry is an explorer and adventurer who loves working and interacting with people from different cultural backgrounds. He currently serves as the president of Livful, a company that has created a technology that powers products to repel biting insects to fight disease, save lives, and transform communities around the world. After helping a nonprofit expand from three to 80 countries in six years, Matt decided to dedicate his life to blurring the line between social impact and business. Inspired by his faith, he and his wife spent five years in Jakarta, Indonesia, where they increased the Bumi Raya Group’s profitability through their three companies and several private ones. While there, he worked with a team of leaders to start the Kingdom Entrepreneurship Academy, an incubator that encourages entrepreneurs to restoratively serve others in a sustainable (profitable) way. He sees his work at LivFul as a shining example of how a company can address important societal needs while building a profitable business. DO GOOD X empowers social entrepreneurs to do good in the world.